With the utter stupefying shambles that is Australian politics, it seems like things can’t get much worse, right? 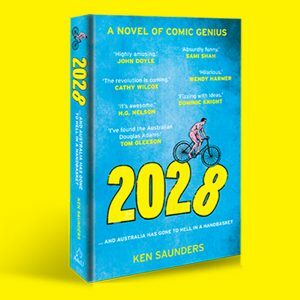 At Allen & Unwin HQ, we were all in need of some light relief from the vagaries of #AusPol and Ken Saunder’s debut novel 2028: And Australia’s gone to hell in a handbasket couldn’t have summed the mood up better. 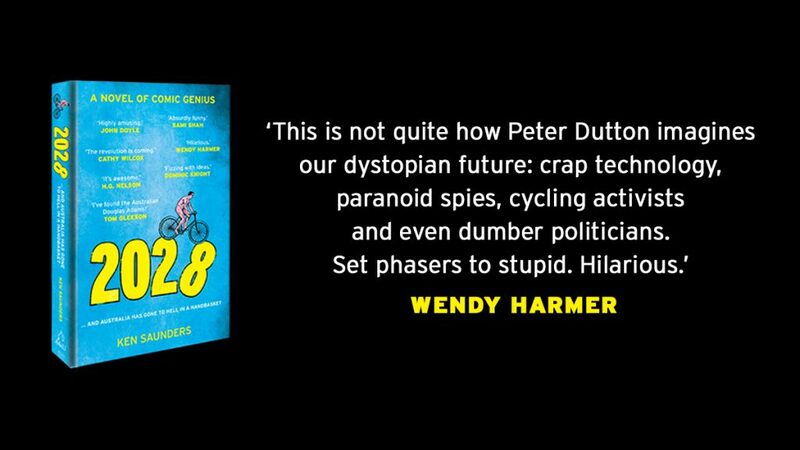 A work of comic genius, this much-needed salve takes the mickey out of anything and everything to do with Australian politics, enjoy a small selection of staff love for 2028 below, and have a read from the first couple of chapters for a taste of this devilishly fun political satire. Bitingly funny, brilliantly conceived and wholly original political satire. Think a combination of 1984, Douglas Adams and anything by Armando Iannucci. 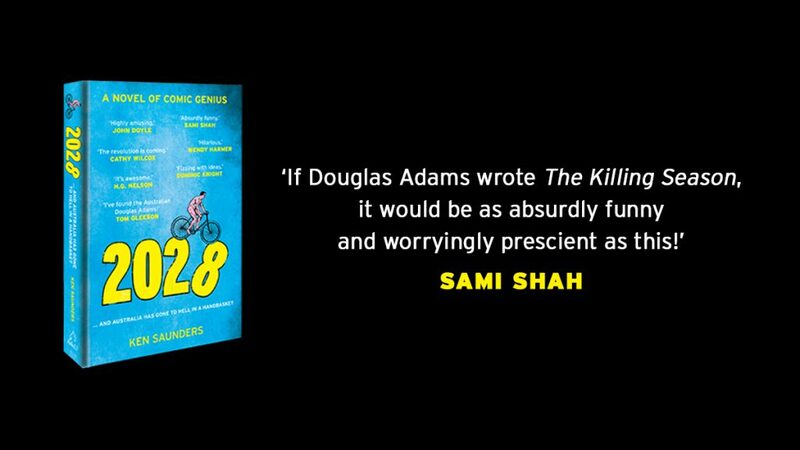 I’ve been telling anyone who’ll listen that this novel is on the way and to look out for it! 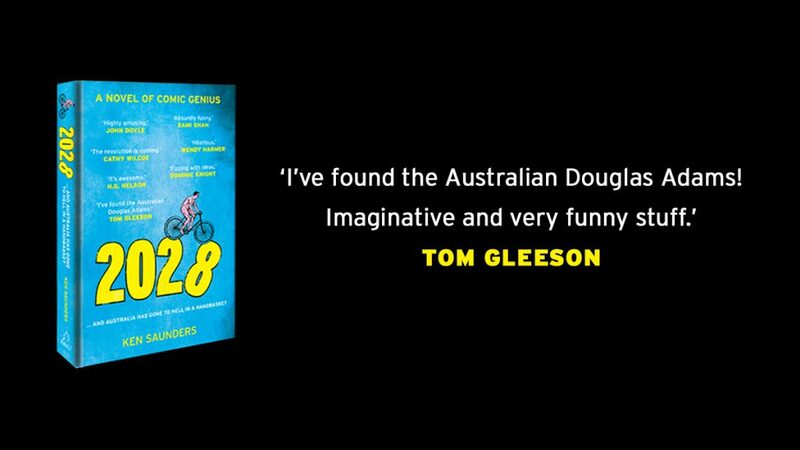 It’s whipsmart, sardonic, clever and utterly Aussie. Part warning, part hopeful optimism. I keep seeing signs that Saunders’ predictions for the future are about to come true. A first-rate, fiendishly funny, razor-sharp political satire written with real flair. I’m just glad Ken is using his power for good and not for evil! 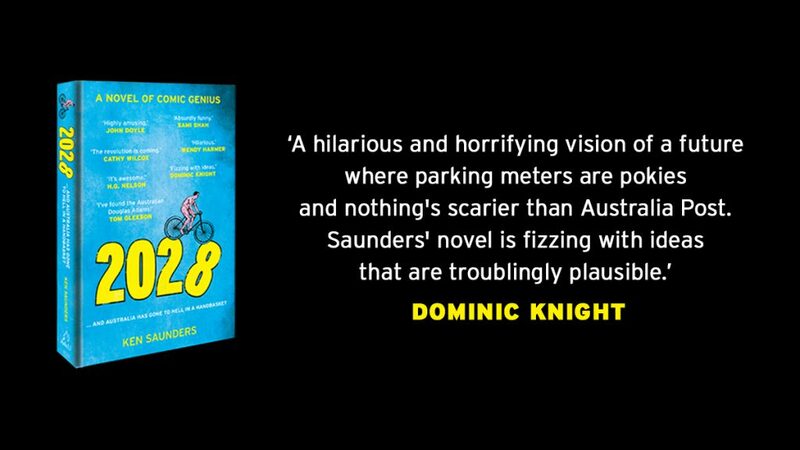 In this era of uninspiring politics, policy, and populism, 2028 offers a very funny, entirely realistic, and comfortingly optimistic alternative view of Australia’s future – I can’t recommend this enough! This is the smartest, most hilarious and hopeful book I’ve read in years. 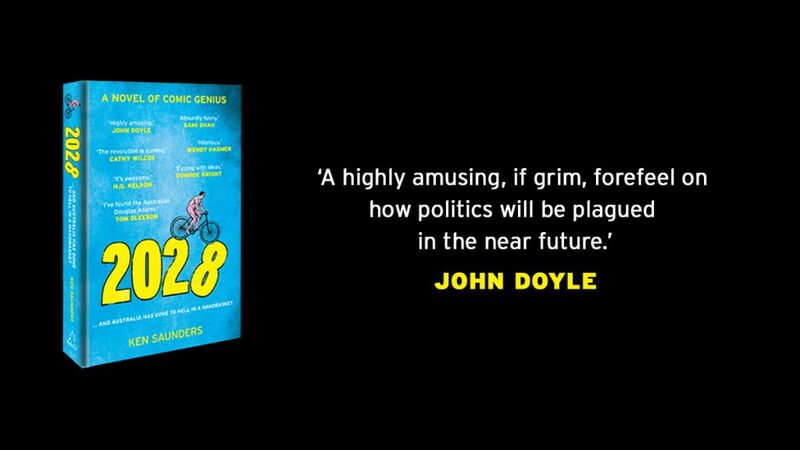 If you’re a fan of Clarke & Dawe, Veep, The Thick of It, Yes Minister and political satire in general, then 2028 is a book for you. Great read. Laughed out loud so many times. 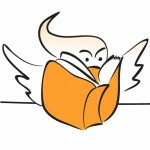 It ticked the “so gripping you read on past bed time test” as well. Genuinely funny books don’t come along every day. Oh I just loved this! I read this in bed, and found myself slapping the book down on my chest every few minutes while I shook with laughter and reading out killer phrases to my husband, who had been guffawing while reading it the night before. The central premise is just brilliant – you rock Ned Ludd! This hilarious book is a shot in the arm for the politically jaded. 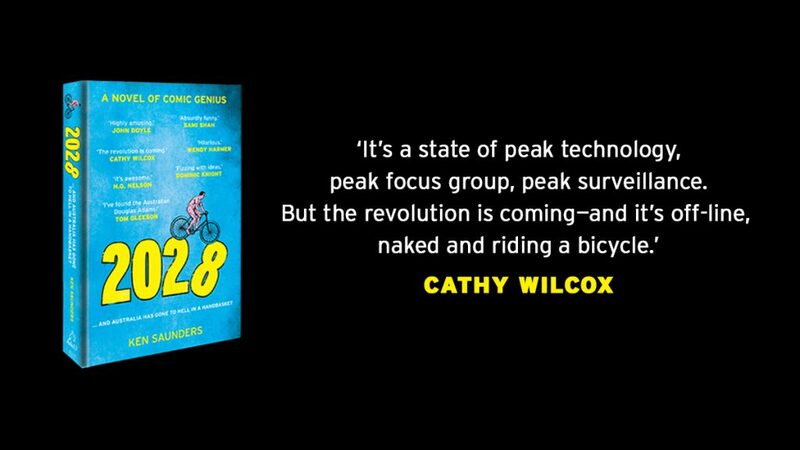 It reads like a cross between Wag the Dog and Catch-22, and is so clever and fresh it’s a sheer joy to read. Had me smiling from ear to ear the whole way through. For an alternative, and slightly more serious take on the state of politics, why not pair 2028 with Bernard Keane’s The Mess We’re In?